It's a Midsummer Day's Dream in Stratford upon Avon with a host of free events for all the family. 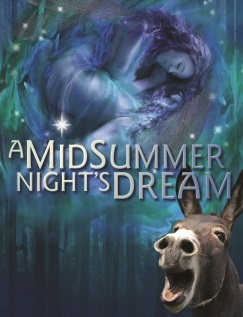 The weekend kicks off with a free showing of Shakespeare's Midsummer Night's Dream on Saturday June 22 by GB Theatre Company. It takes place at the open-air Dell theatre in Stratford upon Avon at 3pm and lasts 1 hour and 30 minutes. The following day, the Royal Shakespeare Company (RSC) takes inspiration from Shakespeare's Midsummer Night's Dream as it hosts an array of outdoor activities in beautiful gardens and at The Dell theatre. An afternoon of free events takes place on Sunday June 23 from midday to 6pm. Marriage is the theme of the day as Shakespeare's A Midsummer Night's Dream ends with three marriages. Visitors can learn how to dance their 'first dance', take part in a wedding reception disco, decorate cupcakes, make fascinators, and pose for wedding photos. Actors will perform a short scene from A Midsummer Night's Dream in the area by the River Avon and Holy Trinity Church at around 4pm. Elsewhere, a "Something Borrowed, Something New" marquee is open from noon to 4pm in Avonbank Gardens and will see artists Megan Clarke Bagnall and Jasmine Loveys showing visitors how to make wedding headgear and garlands. Families can also decorate a personalised cupcake, which will be added to a big final wedding cake. Bingo Meg and Disco Jazz will be offering the interactive Carboot Disco Bingo, a combination of a dance lesson, performance and bingo. 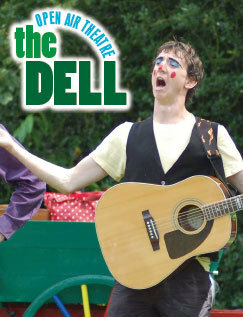 Their 20 minute shows take place at 1.20pm, 2.10pm and 3pm in Avonbank Gardens. Meanwhile, an expert from the RSC Movement department will teach everyone how to dance the perfect steps for that a First Dance. There will be two sessions, both lasting 30 minutes at 3.20pm and 5pm on The Dell stage. An eclectic mix of music will entertain throughout the day, provided by Klezmer Kollectiv at 12.50pm and 5.30pm, Maz O'Connor at midday and 1.40pm, and London Youth Gospel Choir at 2.30pm, all performing on The Dell stage in 30 minute sets. The day's activities coincide with Midsummer Night's Dreaming, a one off digital theatre project presented by the RSC in partnership with Google's Creative Lab. Midsummer Night's Dreaming, an interpretation of the play about fairies and lovers, takes place in real time from June 21 to June 23, which culminates in a wedding that visitors can attend. The story will be shared through photos, snippets and news stories online from the perspectives of some lesser known characters, as if it was happening in real life. After the event, the RSC will release an audio recording of A Midsummer Night's Dream performed by the acting company, which will be annotated with content created by commissioned artists and audiences over the weekend and posted on Google. All events at the Midsummer festival are free.